Restaurant review #37 – Travelling up north towards the island of Texel, we stopped in Alkmaar (in between Amsterdam and Texel). 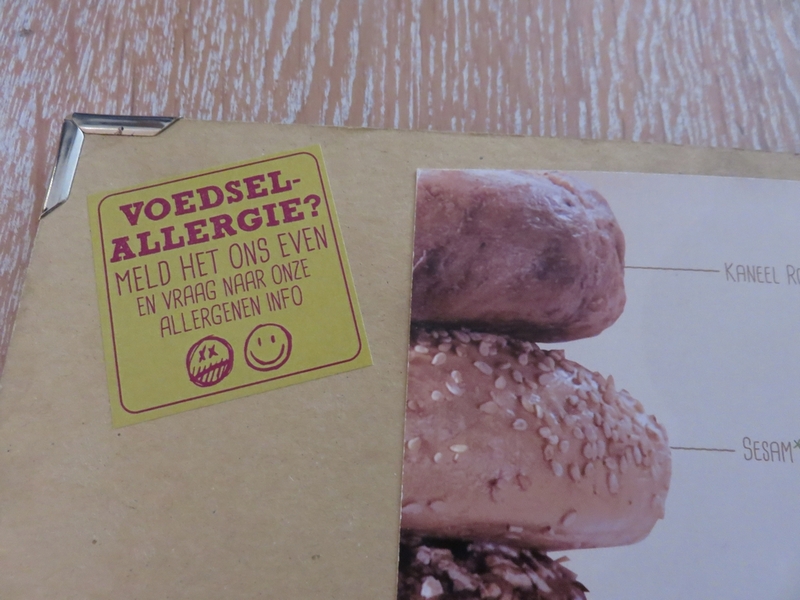 We originally planned to have our lunch at Thai restaurant Chada Thai in Alkmaar, since that restaurant is explicitly mentioned on Happy Cow as being very vegan friendly, to arrive at its frontdoor and find the restaurant … not open. Backup plan: a quick visit to Bagels & Beans, where – as the name suggest – a large variety of bagels is served. 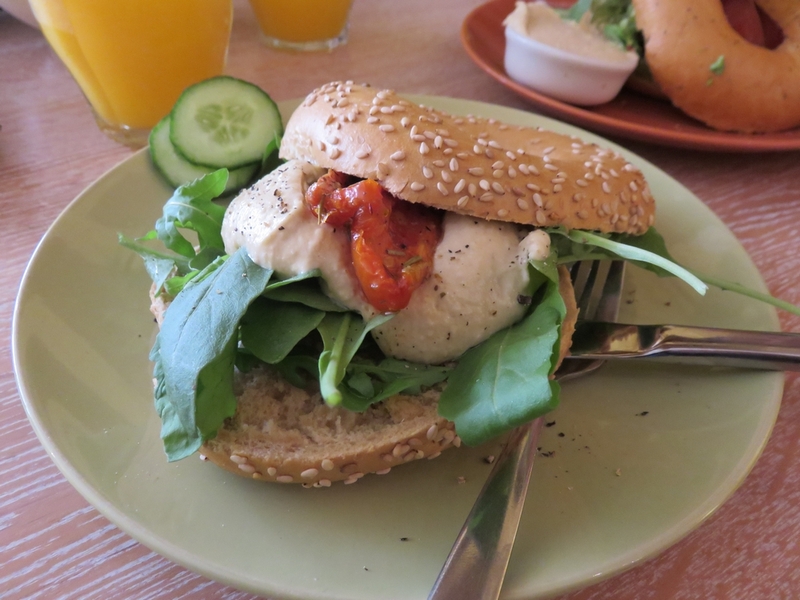 Bagels & Beans is a chain with several locations throughout the Netherlands. There’s always something vegan available, and staff was very friendly to check for ingredients (see also the note inside the menu – taking note of food allergies). 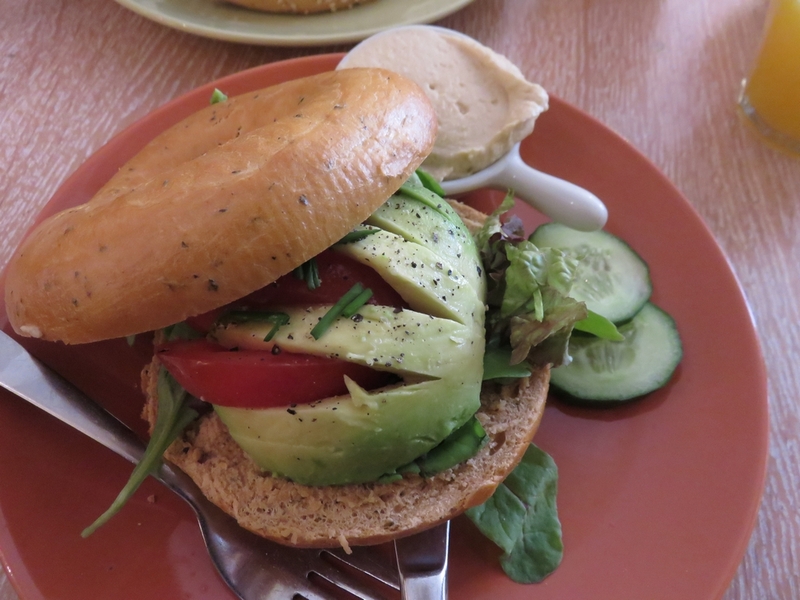 We had the hummus bagel (standardly vegan) and the avocado bagel (without the cream cheese, but with hummus) with respectively a sesame bun and a tomato bun (asked whether they are vegan and got confirmation). Very nice! And very cheap too (5,40€ for the avocado bagel and 3,95 for the hummus bagel). 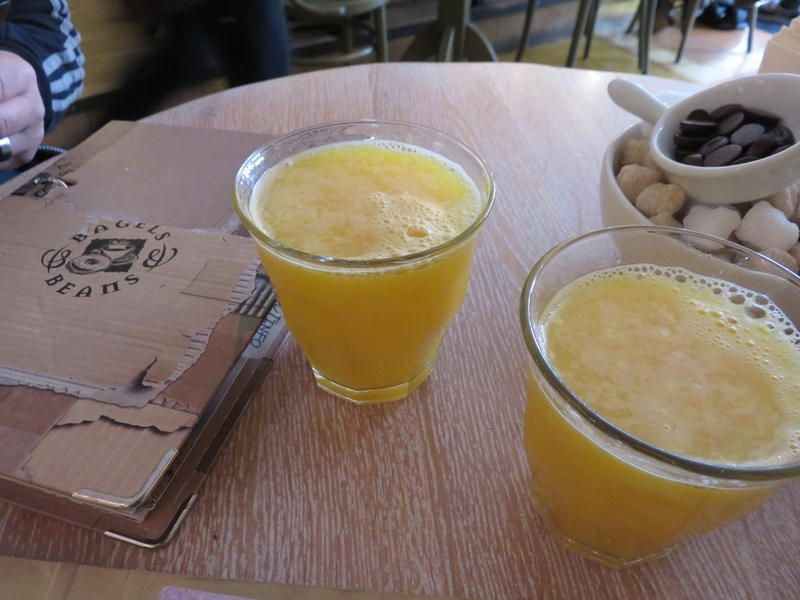 Small orange juice was only 2,60€! Ideal for a quick lunch or snack! Service was very swift and friendly. 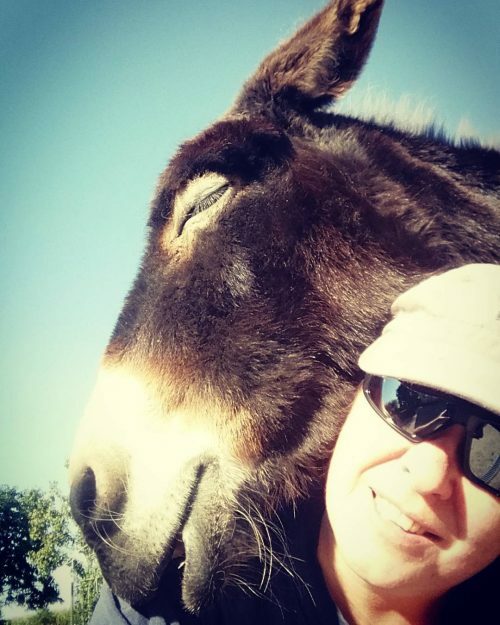 Previous PostI’m now also on Instagram! Next PostWhat vegans pack when going on holiday!